Guaranteed to be the most unique putter you have ever seen. Not only a piece of art, but probably one of the best and consistent hitting putters out there. These putters are all individually hand made, making them “one of a kind” items that you will be proud to carry in your golf bag or to give as a unique gift to a friend. What makes these putters so special? Consistent and easy swing delivers the results….. It's all about the consistency of the putter stroke and delivery! 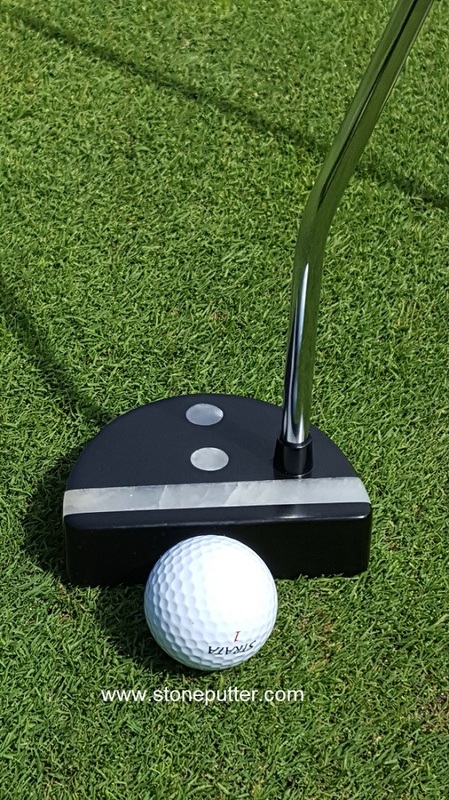 Whether you are trying to make a 4 foot putt, a 15 foot putt or a 30 foot putt, you want an easy consistent swing of your putter. You don't want to have to fight to change your stroke to such an extreme as typically required with metal constructed putters, that it throws off your delivery. 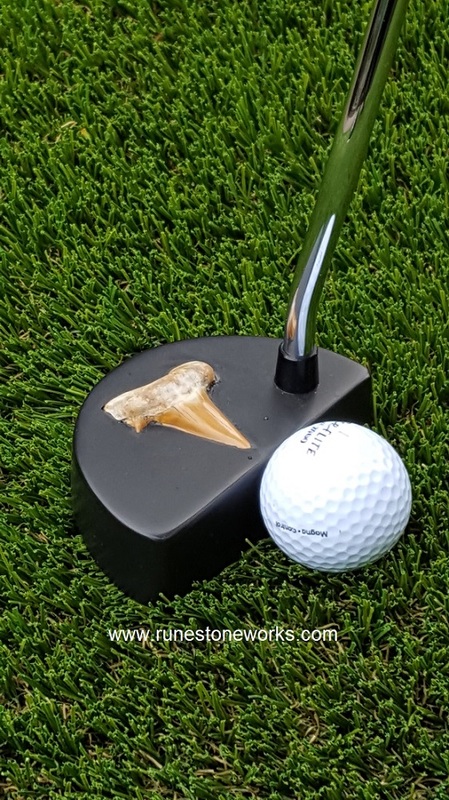 The special design of these putters, along with the density provided by the stone head assures you with the most consistent and easy stroking putters you will find. Like a pendulum on your arm, the putters deliver the most consistent swing and ball movement to ensure you always know exactly what you are going to get out of your shot with very little variance required in your swing. The club head also delivers an immediate and consistent top roll trajectory with its special face design, providing you with a true delivery line accuracy. Coupled with a double bend shaft and Winn jumbo grip provides a precise putter to ball alignment every time. Other than being the most unique thing that you have ever seen for a putter, who else has a custom designed hand carved putter made from volcanic stone, inset with a fossil or crystal insert? Just how cool is that! 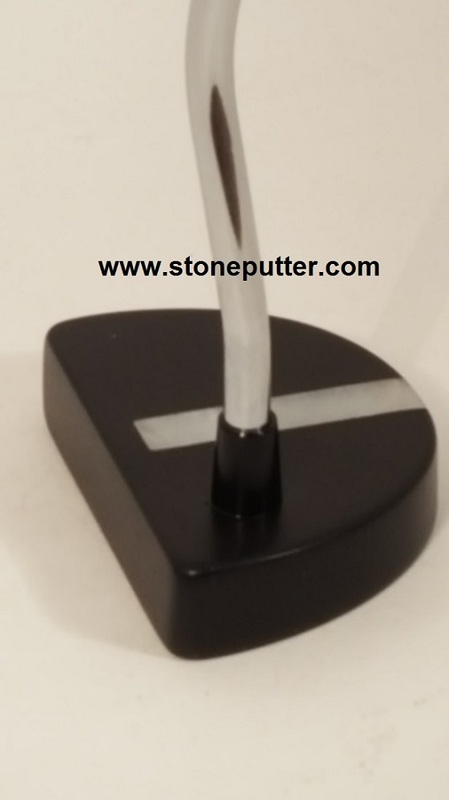 I personally design and carve each stone putter head in my studio. These are more than just putters, these are a work of art made by hand. They are not mass produced on a factory assembly line. Really want to impress someone, maybe that special business client? 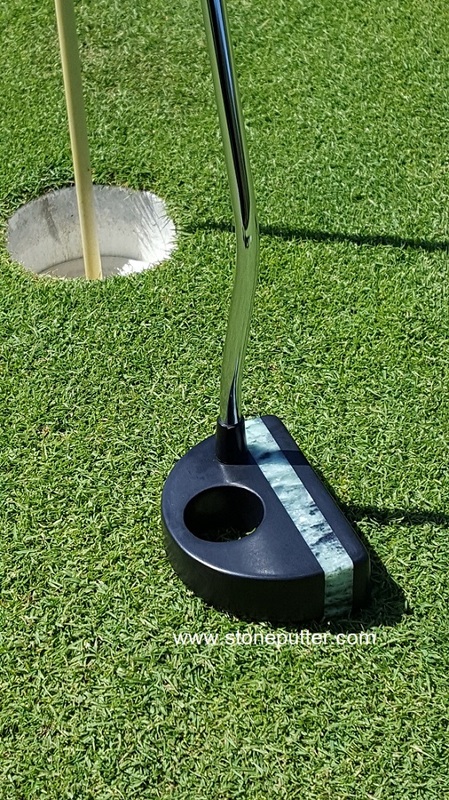 Guaranteed that these hand created putters will amaze them and once they actually use them and see how well they work, they will never take them out of their bag except to show off in their home as a special display and conversation piece. Free shipping offered for orders over €49.95 within North America.